I am by no means an expert on blogging and have a lot to learn but after spending almost seven years in the blogging world, I have had to chance to check out some awesome resources that I would like to share with you! These are some of my favorite websites, books, and posts that can be helpful for a newbie or a seasoned blogger! 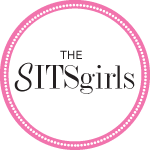 The SITS Girls was one of the first sites I came across when I started taking blogging seriously. Actually, I think it is what made me start taking blogging seriously. I was just blog hopping one day and saw the badge on someone’s blog and the rest was history! SITS is the place you want to go if you want to be a part of a great blogging community both through an active discussion forum and spotlighting members’ blogs through Feature Days (My SITS day is still a highlight of my blogging journey!). SITS is also a great place to learn technical skills through helpful articles and tutorials. They previously hosted Bloggy Bootcamp, which I had the pleasure of attending in Atlanta in 2011 and it was the perfect conference for this introvert. Type A Parent was founded in 2007 as the world’s first social media network for mom and dad bloggers but you don’t have to be a parent to benefit from all the resources that Type A has to offer. Type A provides the resources to grow your blog, learn about blogging and social media, and network with other bloggers and brands. In addition to the annual three day Type A Conference, they have added two one day “bootcamp” conferences for seasoned bloggers. Type A Conference 2013 was my first experience with a multi-day conference and it was a great step up from Bloggy Bootcamp but it wasn’t so large that it was completely overwhelming. Obviously I am not a fashion bloggers (unless an endless supply of yoga pants counts as fashion) but Independent Fashion Bloggers is an amazing resource for any bloggers. IFB showcases blogging tips (such as creating a community and getting organized), technical help (such as blogging apps and gadgets), and business resources (such as working with brands and monetizing). It is definitely a site worth subscribing to and you may even learn a thing or two about style while you are there! Blog Clarity (formerly known as Momcomm) is the place to go for pragmatic, hands-on tips for writing, blogging, and social media. Melissa is a design rockstar as the author of Blog Design for Dummies. In addition to offering several hands-on courses, posts cover everything you need to run a successful blog from building a blog design that works to creating fresh content to increasing your traffic. If you are a hands-on learner like I am, this blog needs to be on your subscription list. 2-Teaching: Each day you’ll be given great instruction on both the WHY and HOW of the task of the day. This is a great tool to work through on your own as you are getting your blog started (or like myself getting your restarted) or to work through as a group which not only helps you build your blog but also helps you build your blog network. This book was listed put in the #1 spot on this list for a reason. I cannot recommend 31 Days to Build A Better Blog* high enough. This book, Simple Blogging* by Rachel Meeks, is amazing. Between working, family, and illness, time is of the essence and if I could meet Rachel in person, I would give her the biggest hug (and probably totally freak her out). This book is amazing and completely refreshing. This definitely helped renew my passion for blogging and give me a great perspective on balancing my life and my blog. It reminded me that if I didn’t take time away from the computer (or all electronics for that matter) to focus on our families and ENJOY our lives offline, then what would we have to write about online? Simple Blogging is the book for if you want to grow your blog but you’re not sure what else you can do; or if you wonder if you’ll ever make peace with your email inbox again; or you just really need good blogging advice from a friend. I have to say that I was immediately drawn to this book because well, it was pretty. Blog Pretty* was written by Vanessa Gollasch who writes over at Blog Pixie and is a girl after my own heart as she is a lover of all things pink and pretty and shares her knowledge of blogging and looks stunning doing it. It displayed every wish that I had for my beauty room to look like. As a complete bonus, the ebook was absolutely amazing at learning how to get my act together so that I, too, could blog pretty. This ebook is great for a beginner just getting your feet wet or a seasoned blogger wanting to expand beyond the basic theme into a more custom design without having to hire someone. This ebook covers all aspects of being a blogger – not just the design front. It starts there with creating your branding but then moves on to establishing an editorial calendar, incorporating graphics and photography into your blog, and how to rock social media and get involved in the blogging community. Vanessa also hits on the heavier topics either such as marketing, creating a media kit, how to make money, and how to really make it happen to be able to blog full-time. This is a very well-rounded ebook and touches on everything that you need to know as a blogger. Again, it is great for a beginner or for as I used it, a refresher course to get myself back into blogging regularly as a seasoned blogger. For $15, Blog Pretty* is well worth the investment and honestly it is worth double. I was lucky enough to take the Content Brew* course the first time that it was offered by lovely Melissa Culbertson who is the creative genius behind Blog Clarity. This course is amazing for both new and seasoned bloggers to create and sustain an editorial calendar by learning new ways to keep a steady stream of fresh content not only for your blog but Facebook and Twitter as well. The class is now offered as a self-paced course so you can work through the content at your own pace. The best part? You will have unlimited access to course matters forever (well, as long as Blog Clarity is in existence). This course is worth every penny. I will definitely be taking the opportunity to work through this course again soon. The cost of Content Brew is $197. Media Kit Smash* is another course offering from Blog Clarity and I have not had the chance to take it yet (hopefully soon!) but I wanted to include it on the Favorite Blogging Resources. I have known Melissa for several years now and she is one of the most genuine and authentic people I know. Just by knowing her and the heart she puts into everything she does, I have no doubt that this class will be just as outstanding as the last. The Media Kit Smash starts at the bottom by expelling the basic components of a media kit and then builds up to creating the perfect bio, knowing which stats into include in your media kit as well as reader demographics, and finally what to do with it! This is also a self-paced course so you are able to work through the course at your speed and just like Content Brew, you will have unlimited access to course content so you can work through it as many times as you wish. The cost of Media Kit Smash is $87. I’m not one to brag but I have to admit that I have some killer boards on Pinterest covering everything blogging! I thought it was easiest to break pins down into categories to make information easy to find. Advice From Other Bloggers – sometimes the best way to get the best information is to go straight to the source – other bloggers. Blog Post Ideas – post ideas, writing prompts and blog challenges to keep the content flowing and overcome writers block when you feel stuck. Branding Strategies & Plans – advice for building a branding strategy to represent yourself and your blog effectively. Design Do’s & Don’ts – all things related to having a fabulous blog design including hands on design tutorials, essential design elements, and simple coding. Design Themes & Mood Boards – this board helps cover the basic foundational aspects of every blog design – themes, templates, and mood boards. Engagement & Community on Social Media – this board will help give your some ideas on creating a community around your blog and all you to become more engaged with your readers on all areas of social media. Fun Fonts – oodles and oodles of fun fonts for blogs and all kinds of fun projects! Getting In Front Of The Camera – Vlogging – I am terrified of getting in front of the the camera but i really, really want to get over my fears and get in front of that camera and tackle vlogging! Anyone else? Getting Organized – when you are completely overwhelmed with ideas and working one or two jobs (or more) plus juggling a family and any sort of social life, you need a little help learning how to get organized and get a handle on managing your time. Library of Resources & Books – this board covers a general list of resources, websites, ebooks, and courses that may help with all facets of blogging. Media Kits & Business Plans -how to build effective and successful media kits and business plans for your blog and/or small business. Monetizing Lesson & Tips – this board focuses on how to monetize your blog; work with brands, pr groups, and affiliate networks; establish an income, and properly disclose working relationships. Photography for Blogging & Social Media –Advice and lessons on styling photos for blogging and instagram; easy ways to edit your photos; using the best settings on your camera for certain projects; and how to copyright/watermark your photos. Productivity & Time Management – since we can’t add hours to our day, this board covers tip on getting organized with the help of blog planners, the importance of building an editorial calendar, and setting goals. SEO Help -Focusing on SEO: “Search Engine Optimization” in order to take your writing to the next level. Not only does proper SEO bring in more readers, it also brings in more profits. Traffic & Growth -Posts and tutorials to gain a better understanding of analytics/stats, peak posting/scheduling times, and how to increase blog traffic. Writing Tips – this board focuses on finding your own unique writing voice, how to establish your own writing style, creative ways to curate content, and endless lists of post ideas. Disclosure: Some resources on this page include affiliate links. They are marked with an *. However I have personal experience with each of these products and found them extremely beneficial and would recommend them 100% regardless. These blogging resources are 100% amazing.